Have you ever wondered what the Foo Fighters might sound like if they were fronted by Neko Case? No? Well then you can be excused. For the rest of you cue up Honeyblood’s self-titled album and check out opening track “Fall Forever” and you’ll find out. It’s as if that blonde guy was kicked off the drum throne and Dave Grohl took his rightful place back behind the kit as The New Pornographers chanteuse took over mic duties. It’s a stunning sound, really. Of course “Fall Forever” isn’t the Foo Fighters or Neko Case, it’s Honeyblood and you won’t be forgetting that name anytime soon. Stina Marie Claire’s vocals possess a power that harken back to the glory days of the late-80s and early 90s when bands like Throwing Muses, The Breeders, and Blake Babies were making their presence known in the world of dude-dominated alternative music. Besides vocal duty Stina also plays guitar with as much force and machismo as any flannel-clad dude did back in Aberdeen or Seattle. This Scottish two-piece band, which also consists of Shona McVicar on drums are making a sound that guys like Gil Norton, Butch Vig, and Steve Albini produced back when President Clinton had just been sworn in. Besides “Fall Forever”, “Super Rat” seethes as Stina sings “You are the smartest rat in the sewer,” followed by “I will hate you forever” as the song buzzes and hums like classic Pixies. “(I’d Rather Be) Anywhere But Here” starts up like Concrete Blonde covering “Lithium”, while “Bud” has a Grant Lee Buffalo vibe with more of that Neko Case vocal phrasing. This is classic early 90s alternative. Honeyblood are tapping into a musical vein that has sorely been left to shrivel and fade. That space between the over indulgence of the 80s and the anti-establishment 90s indie music; that place in alternative music where a band could still sound good without losing street cred for doing so. “Choker” “No Spare Key”, and “No Spare Key” all grind and slither with the spirit of underground rock and the vibe classic 120 Minutes. Closing track “Braidburn Valley” sounds like a big, sweeping Mazzy Star track with a hint of Straitjacket Fits. Melancholy and angry all at once. So we may not have Neco Case fronting the Foos, and I suppose that’s just kind of weird when you think about it. 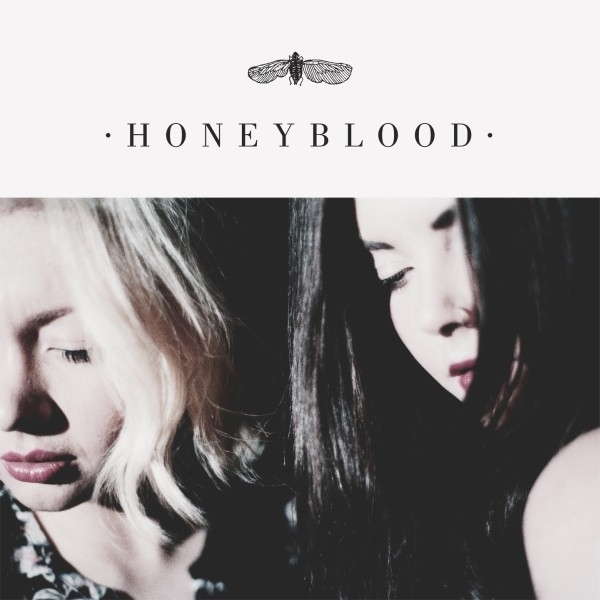 But Honeyblood have given us one hell of a debut record. For those 80s and 90s kids that remember Alternative Nation, 120 Minutes, and being exiled in a place called Guyville. Hubba, Hubba! I liked that, from memory sounds a little like Veruca Salt. No no, I was thinking the same thing. Both the hubba, hubba, and the Veruca Salt. I’ll grab my coat and we can head down to the pub.